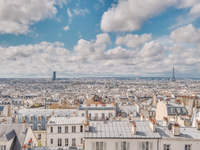 PARIS 75018 - Montmartre - 600M2 | 8 Rooms - New price: 9 900 000 € (including 3% fees) - . . .
Paris 18th - Metro Simplon - Huge loft / artist's studio space New-York style offering 282 m2 . . . 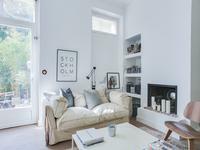 Superb 1/2-Bedroom apartment of 60 sqm fully renovated with taste, quiet and bright, at garden floor along the "Marches de Montmartre"
Paris 18th - Montmartre district - Beautiful apartment of 61 sqm at ground level / 59.30 sqm . . .
PARIS 18th - Jules Joffrin - 2P | 55 m² + 12 m² Winter Garden & Balcony - At the corner of . . .
PARIS 18th - Jules Joffrin - 3P | 65 m² + 10,80 m² Winter Garden & Balcony - At the corner of . 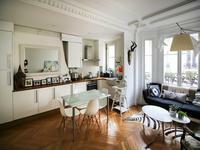 . .
PARIS 18th - Jules Joffrin - 3P Duplex | 80.30 m2 + 14 m2 Winter Garden & Balcony - At the . . .
PARIS 18th - Jules Joffrin - 5P | 122 m² + 94 m² Winter Garden, Balcony & Terrace - At the . . .
Paris 18th - Jules Joffrin district - 2 bedroom apartment of 70,5 sqm located in the heart of . . .